Downtown Urbana is about to become a lot more creative – thanks to the vision of local youth, the City of Urbana, the Urbana-Champaign Independent Media Center (IMC), and the National Endowment of the Arts. The NEA has announced awards totaling $4.3 million supporting projects across the nation through it’s Our Town program, which supports “creative placemaking projects that help to transform communities into lively, beautiful, and resilient places with the arts at their core.” Out of 240 applications, the City of Urbana and IMC, is one of the 64 partnerships recommended for funding. $50,000 will help support Open Scene: Debuts of Youth’s Views in Downtown Urbana – a partnership to create a plan for reclaiming the city’s center through arts-based dialogues that directly incorporate the experiences of youth. Working with artists from varied disciplines, youth project leaders will interface with stakeholders to explore and express around questions related to key information and cultural needs of Urbana residents — including youth, cultural workers and artists, people of color, new Americans, the unemployed, elders, and the disabled. In turn, youth project leaders and stakeholders will co-facilitate community-wide arts-based civic dialogue workshops. Showcases of creative work rendered will be open to the public throughout the process and be used to develop a long term vision for growth of the IMC. “The IMC is currently fundraising to raise the $5,000 in grassroots support needed for the project. We encourage local residents to support this exciting endeavor to engage our youth in designing the future of a core part of our city,” said Angela King, the chair of the IMC’s Fundraising Committee. The IMC will be seeking to contract with an artist as the Project Coordinator, several Project Apprentices who will staff events and execute logistics, 4 guest artists to guide the work as well as provide stipends to 12 participating youth. Interested individuals should sign up on the IMC’s website. “We heartily thank the City of Urbana, the NEA and our community supporters who gave letters of confidence to this grant, including Krannert Center for the Performing Arts, the Urbana Business Association, Urbana Public TV, SmilePolitely, WEFT 90.1FM, CU Citizens for Peace and Justice, and the School for Designing a Society. We continue to invite community supporters to join in this endeavor and support outreach for the project,” shared Tracy Dace, President of the Board of Directors. The IMC is a nationally recognized leader in media, technology and arts programming centered on underrepresented voices and perspectives. Home to Makerspace Urbana, the Public i newspaper, WRFU 104.5 FM, UC Books to Prisoners, and the performance Lab, the IMC is powered by hundreds of volunteers. 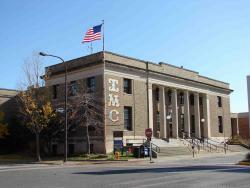 Founded in 2000, the IMC is a center where collaboration, cross pollination, and serendipitous interaction are encouraged; where youth can have a creative “third space” as an alternative to home or school; where consumers are invited to be producers; and where the power of art and media to transform our community can be realized. The Our Town grant program supports creative placemaking projects that help to transform communities into lively, beautiful, and resilient places with the arts at their core. Creative placemaking is when artists, arts organizations, and community development practitioners deliberately integrate arts and culture into community revitalization work – placing arts at the table. This funding supports local efforts to enhance quality of life and opportunity for existing residents, increase creative activity, and create a distinct sense of place. This entry was posted in Arts, UC-IMC, Voices of Color, Youth. Bookmark the permalink.